The Collected Interior: Spring Instagram Photos! Hey guys, wow it's been a few weeks since I've posted here, so I thought I'd pop in to share what I've been up to with a few recent Instagram photos. I actually just joined IG several months ago and really love taking and sharing photos. For me it feeds my creative soul! In fact, I don't know why I waited so long to join. If you do Instagram, let's follow one another! For Spring break we just visited one of my favorite places - Hilton Head and had a blast staying in a beach side villa with three wonderful families! 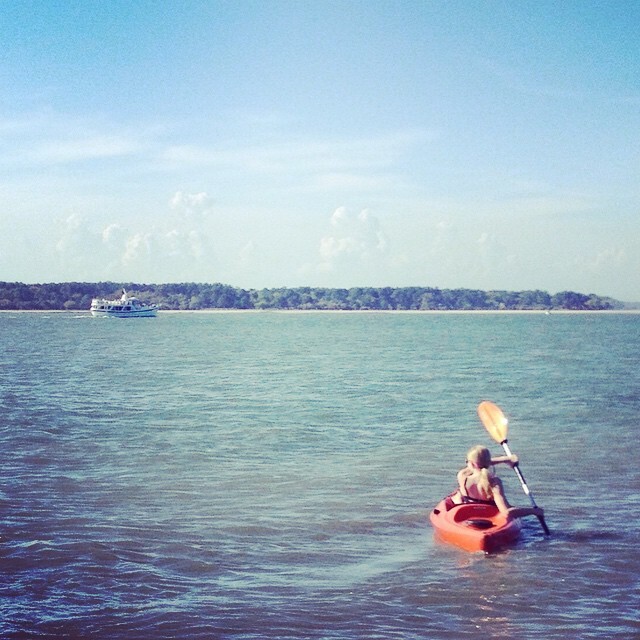 This pic above is of my daughter kayaking in the sound that divides HH from Daufuskie Island. 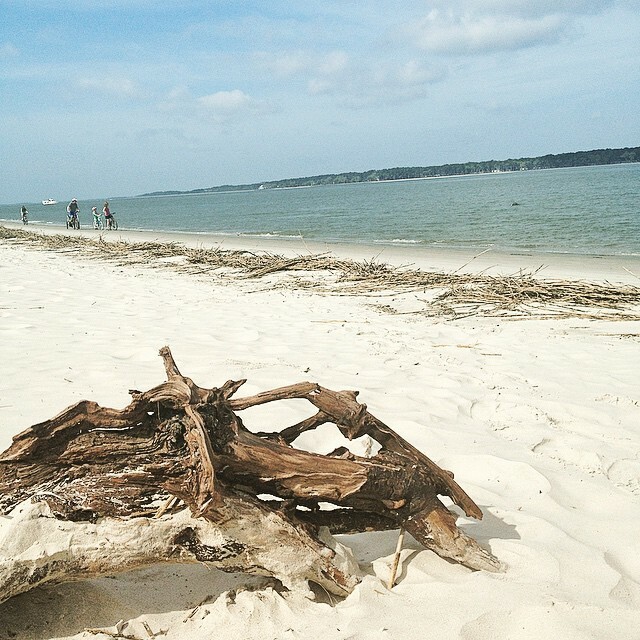 Okay I have a thing for driftwood and was swooning over this piece in HH! I love that it's wood that is weathered and distressed by the sea. And it has a sculptural, almost modern look. Yes, I love me some driftwood! 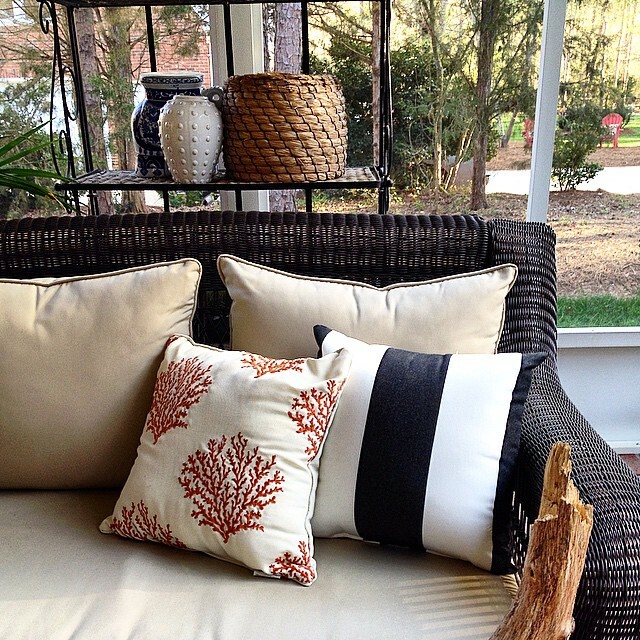 And on the home front our Awning Striped Pillows from Pottery Barn finally arrived and the screened porch is officially ready for Spring! Very excited to get outside and enjoy this space. 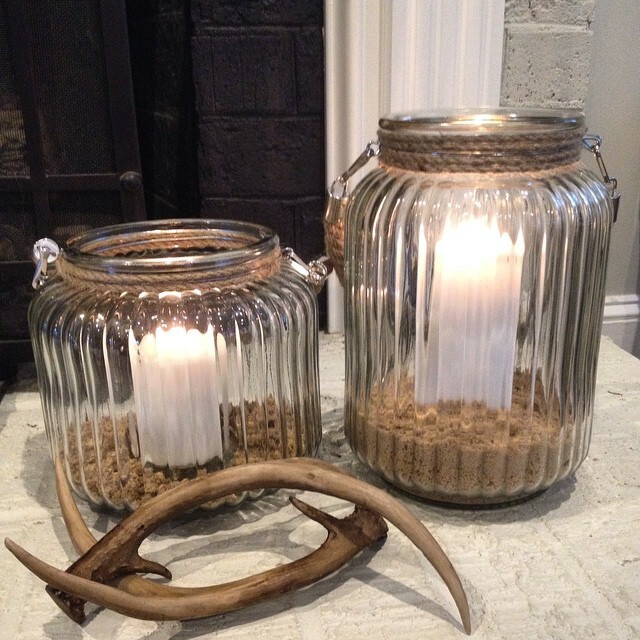 How stinkin' cute are these candle votives! I snagged these cuties at Old Time Pottery for less than $20 each and they are big too! I've also seen very similar ones at Michael's. 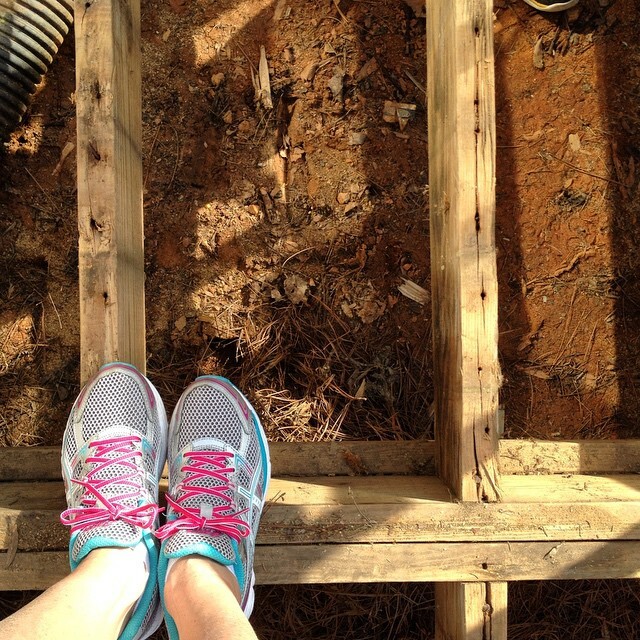 A little sand and white candles, and these will be great coffee table accessories for our screened porch.